TRUHART SPORT LOWERING SPRINGS SET FOR HONDA CIVIC 2012-2013 LOWERS F/R 2.0"
The shortened shell case design provides optimum damper stroke at lower than standard vehicle ride height. Vehicle ride height is adjustable via the ZT coated threaded sleeve. Updated internal components and external coatings increase durability and product life. PICTURES FOR TRUHART PRODUCTS SHOULD BE CONSIDERED GENERAL IMAGES. 2012-2013 Honda Civic SI. Lowering Springs Civic 12-13 / 2014 ILX Lowers 2.0"F/2.0"R. All product color details are provided in the specifications above. All of our products are 100% authentic. It may require professional modifications to make it fit. Trending at $126.43eBay determines this price through a machine learned model of the product's sale prices within the last 90 days. Eibach Sportline Lowering Springs 2012-2013 Honda Civic Si Coupe 2.4L 4 Cyl. 4.5 out of 5 stars - Eibach Sportline Lowering Springs 2012-2013 Honda Civic Si Coupe 2.4L 4 Cyl. 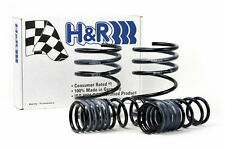 3 product ratings3 product ratings - Eibach Sportline Lowering Springs 2012-2013 Honda Civic Si Coupe 2.4L 4 Cyl. 2012-2013 Honda Civic Sedan / Coupe (SI ONLY). PHOTO FOR REFERENCE ONLY . 392lbs/in (7kgf/mm). Spring Rate (R). 2014 Acura ILX 2.4L. 2013 Acura ILX 2.4L. 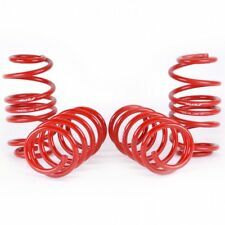 Sportline Front and Rear Lowering Coil Springs with 1.8" Front and 1.5" Rear Drop Height by Eibach. 2012 Honda Civic Si / Civic Si HFP Coupe. 2013 Honda Civic Si Coupe 2-Door 2.4L 2400CC 146Cu. These damper kits are then perfectly matched with front and rear Pillow Ball upper mounts, including camber plates integrated with the upper Pillow Ball mounts on strut-type suspension applications. All of our dampers are capable of handling a 2kg/mm or -2kg/mm change in spring rates to further tune your suspension to your desired handling characteristics. 2012-2013 Honda Civic Si 4DR FB6. 2012-2013 Honda Civic Si 2Dr FG4. Developed to provide a sporty ride feeling and aggressive stance. The shortened shell case design provides optimum damper stroke at lower than standard vehicle ride height. GODSPEED GSP MONO-SS COILOVER SUSP DAMPER KIT FOR 12-15 HONDA CIVIC LX EX HYBRID. Godspeed Project's MonoSS is our one entity in our family of single-adjustable coilover suspension kits. It features a monotube damper that is made out of a carbon seamless steel 52mm tube with a performance internal piston providing maximum damper response. Manufacturer : TRUHART. Lowers approx : 2.0" Front, 2.0" Rear. 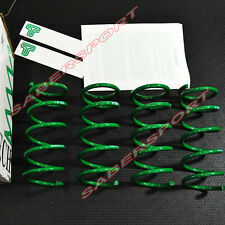 Product :Lowering Springs Set. Quantity : 4 Lowering Springs. Honda Civic 2012-2013. 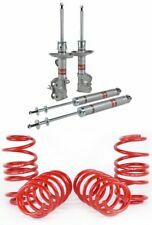 4 out of 5 stars - TRUHART SPORT LOWERING SPRINGS SET FOR HONDA CIVIC 2012-2013 LOWERS F/R 2.0"
3 product ratings3 product ratings - TRUHART SPORT LOWERING SPRINGS SET FOR HONDA CIVIC 2012-2013 LOWERS F/R 2.0"
BC RACING BR COILOVER SUSPENSION DAMPER FOR 12 HONDA CIVIC & 12-13 CIVIC Si FB. All this while providing a strong, attractive looking coilover system. - 2012-2013 Honda Civic Si(will not fit 2014-Up Si models). 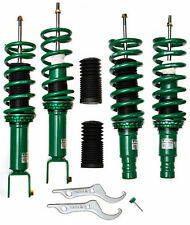 2012-2013 Honda Civic EX-L L4.1799cc Suspension::Coilovers. 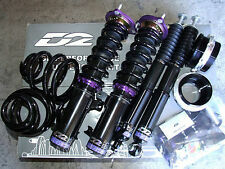 2012-2013 Honda Civic Si L4.2354cc Suspension::Coilovers. 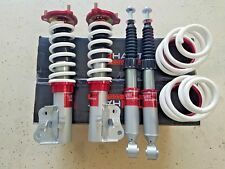 EIBACH SPORTLINE LOWERING SPRING KIT 2012-2013 HONDA CIVIC SI. 2012-2013 HONDA CIVIC SI. Rear Drop 1.5in. Front Drop 1.8in. Includes front camber plates . 2012 - 2015 Honda Civic. Most of the images provided are for illustration purposes only and may not be the actual products. - For all high priced products, Signature Confirmation will be required. 2012-2013 Honda Civic Si 4DR FB6. 2012-2013 Honda Civic Si 2Dr FG4. The shortened shell case design provides optimum damper stroke at lower than standard vehicle ride height. Vehicle ride height is adjustable via the ZT coated threaded sleeve. 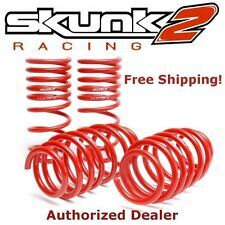 Corner faster, stop quicker, and improve the look of your vehicle with Skunk2's legendary Lowering Springs.Skunk2 Lowering Springs for the '12 Civic are designed to dramatically improve handling performance and driver feel through significantly increased cornering grip and reduced body roll. 2013-2015 Acura ILX 2.4L. Eibach Sportline Lowering Springs Kit. By radically lowering your car’s center of gravity, our Sportline springs dramatically reduce squat during acceleration, body roll in corners and nose-dive under braking. Tein was born in rally. Tein embodies the famous ‘Laboratory on Wheels’. To provide the ultimate products Specifications, performance, and durability required for motorsports might be a bit excessive in a way. 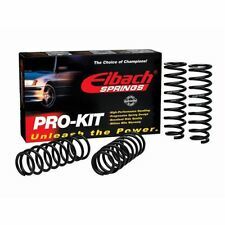 5 out of 5 stars - Eibach Pro-Kit Lowering Springs 2012-2013 Honda Civic Si Sedan 2.4L 4 Cyl. 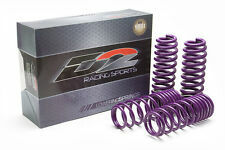 1 product rating1 product ratings - Eibach Pro-Kit Lowering Springs 2012-2013 Honda Civic Si Sedan 2.4L 4 Cyl.